It’s been a while since I have had smoothie Monday. 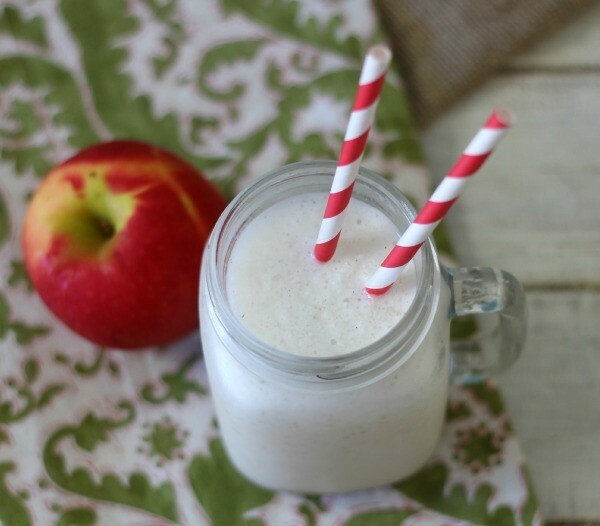 I thought with all of the fresh apples and new juices that are popping up everywhere, this would be a great time to have a light, refreshing smoothie. As you can guess it today’s smoothie is an Apple Smoothie. This smoothie tastes amazing. 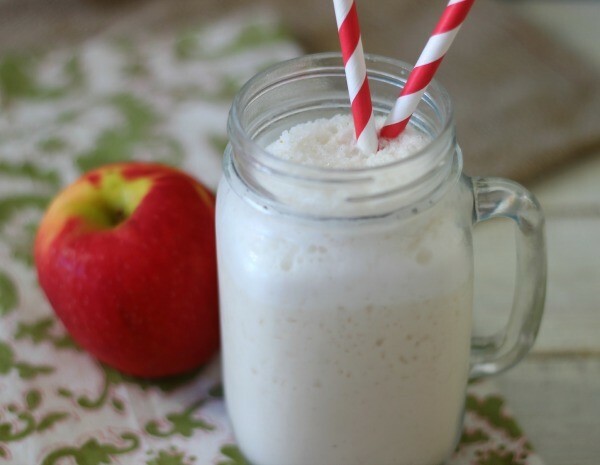 It’s a little bit creamy, a little bit icy, naturally sweet and has the perfect apple taste. I served this to my family and they loved it. It’s the perfect Fall drink when it’s still a little warm out. Here in N. California we have had cold mornings and warm afternoons and while prepping the yard for the winter season this smoothie comes in as the perfect drink to quench your thirst. I made the smoothie using all Trader Joe products. I used there brand new Honey Crisp Apple Cider, which contains just apples. Trader Joe’s vanilla bean greek yogurt, and Trader Joe’s pumpkin pie spice. Combining all of these ingredients together made for the most awesome apple smoothie ever. 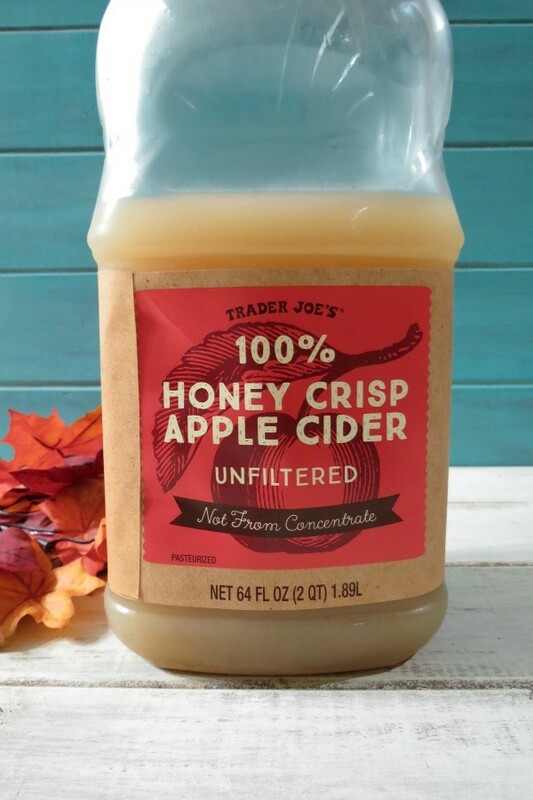 If you haven’t tried Trader Joe’s Honey Crisp Apple Cider your in for a big surprise. It’s incredible! It is only made with apples, but I swear there are spices and sugar in it. It’s so good! 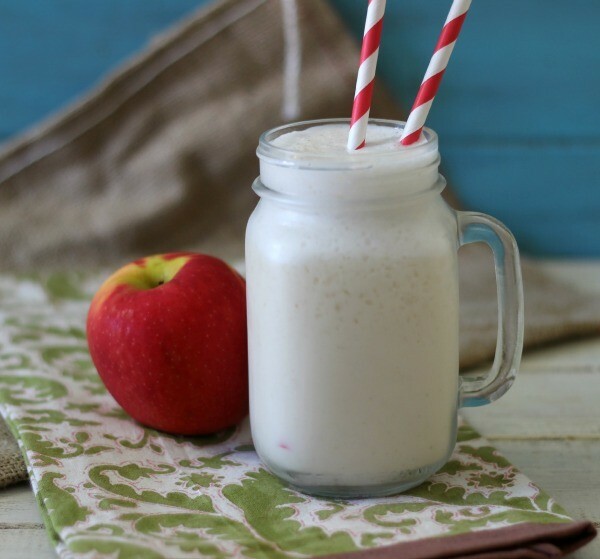 A light, refreshing light smoothie made with all natural apple juice and greek yogurt. I am loving apple season! I am waiting to take a trip up towards Tahoe so I can go apple picking. I need to do that soon before the snow hits. 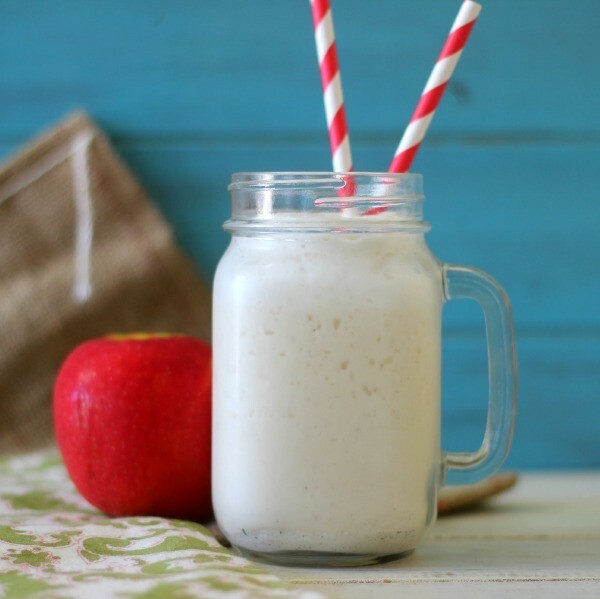 When I first saw your post about apple oat smoothies (last year), I had just gotten my Vitamix, and boy, have I really enjoyed enjoyed making what I call my oatmeal or ‘pie” smoothies. Since I have to be DF for health reasons, simply replacing the milk and yogurt with almond milk (or soy or the DF milk of your choice) is just as delicious. For extra sweetness, you can even add dates to the blender. Hi Shirley, I have never added dates to my drinks and like you I have a VitaMix. Great idea. I am so glad you like the oat smoothies. I like them too and they are so filling.